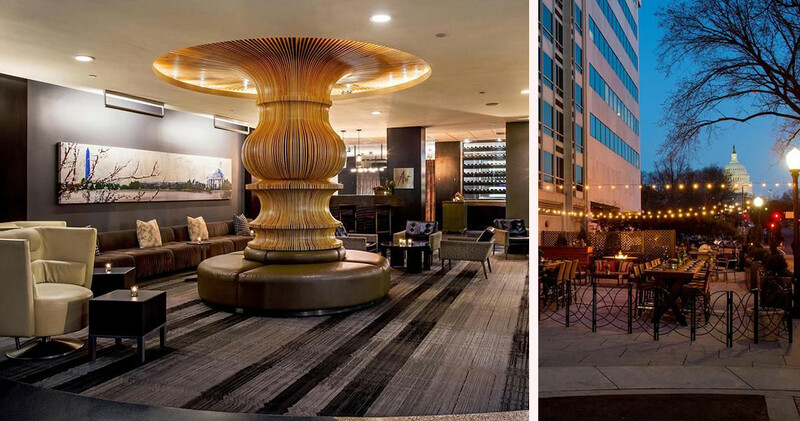 The Liaison Hotel is located in the sophisticated Capitol Hill neighborhood, close to attractions like the Botanic Garden and the Capitol Building. 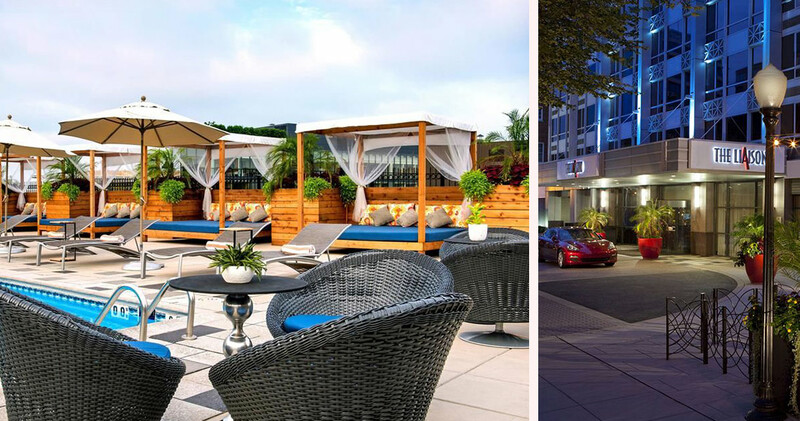 This elegant hotel has a very warm atmosphere and a modern, stylish decor. The lobby features large floor to ceiling windows that let in a lot of natural light. 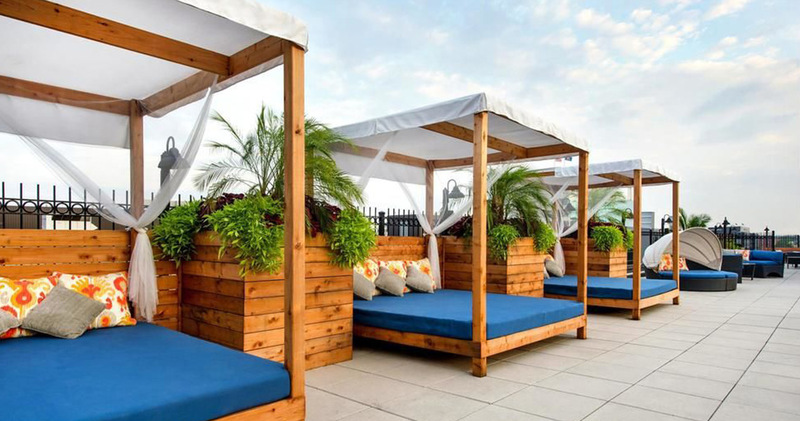 Warm earthy tones and hardwood finishes provide the space a feeling of comfort. Plush lounging furniture throughout the lobby provide ample seating areas. 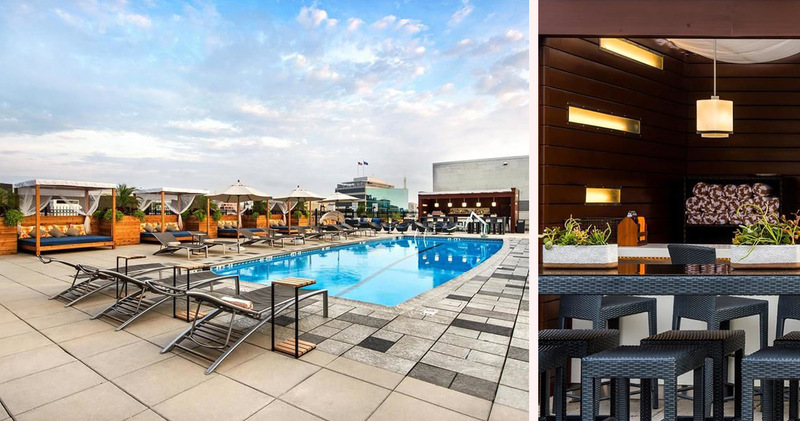 The Liaison Capitol Hill Hotel is home to the city’s largest rooftop pool with cabanas, sunbeds and a lounge. 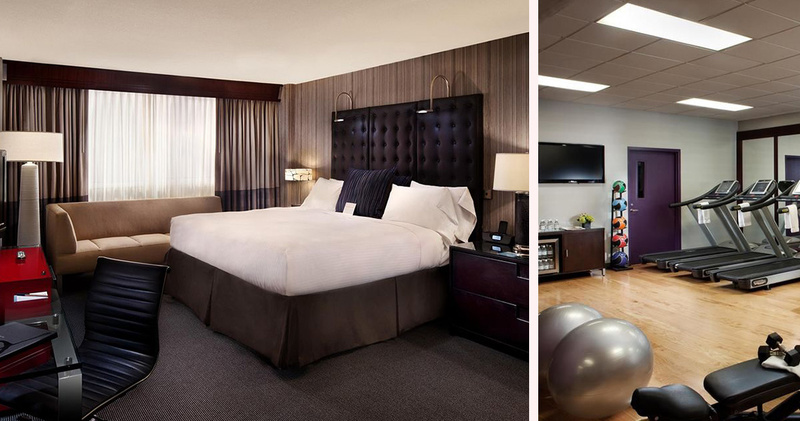 The guestrooms at The Liaison Hotel feature sleek, contemporary monochromatic decor. Modern design, rich textures and stylish furniture provide the room a very streamlined look. 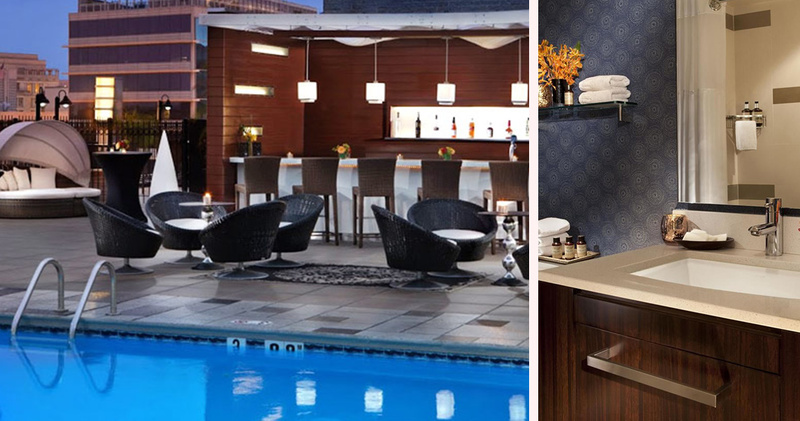 Rich red, tan, grey and indigo colors are complimented with stainless steel finishes to create a bold atmosphere. 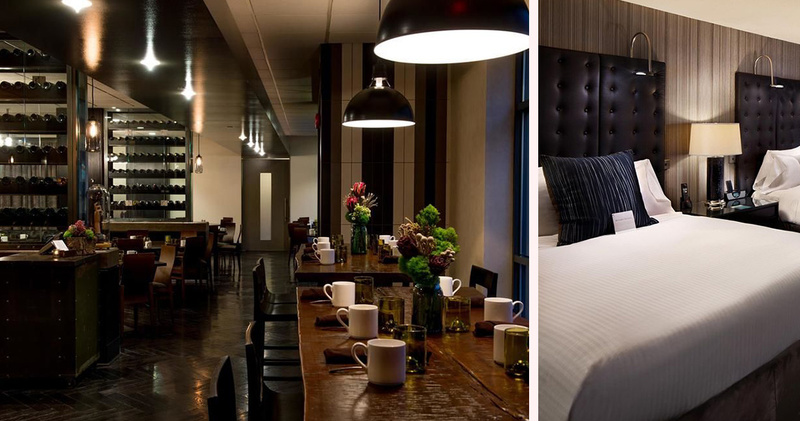 Guestrooms feature large windows, a spacious desk, comfortable couch and a large leather headboard on the bed. The bathrooms are sleek and modern with a stylish indigo wallpaper, modern lighting and eco-friendly Sprout Out Gilchrist & Soames bath amenities. 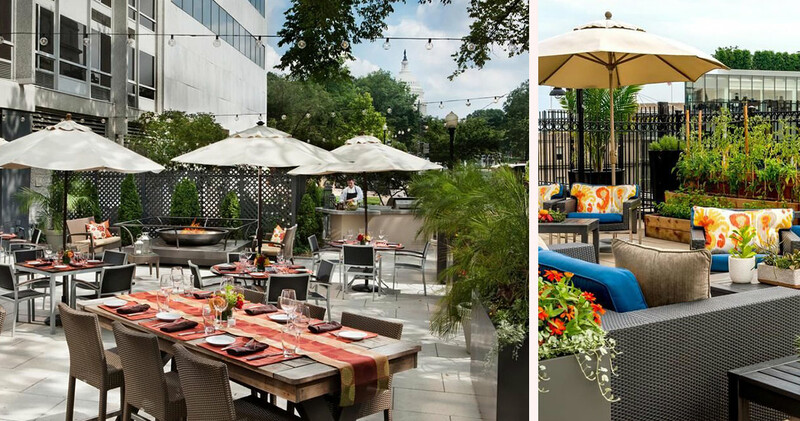 The Liaison Hotel is home to the restaurant Art and Soul. 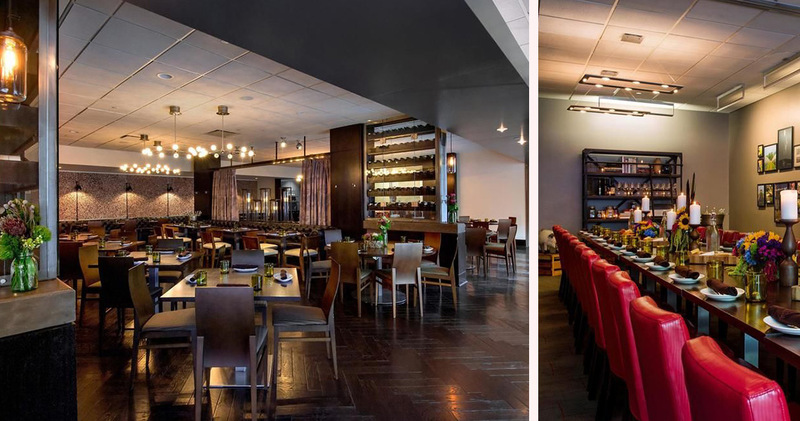 The restaurant has a casual, inviting atmosphere with a large bar, wine display and a warm dining area. Chef Art Smith serves simple, southern inspired food with ingredients sourced from like-minded growers, artisans and farmers. The restaurant also serves seasonal cocktails and draft beer.